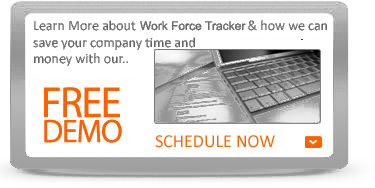 Work Force Tracker is designed to give you complete view of your field staff, their customers, their assigned and past jobs, their skills, their availability, timesheets, Work groups, and their branch/ office or locations etc. With easy to use Web Interface, you are able to add and delete employees, track and evaluate the on the job performance and activities of your employees — easily and quickly — using just one application. Say farewell to the nightmare of trying to manage your employees with an awkward mix of spreadsheets, word documents, database files and cumbersome email folders. 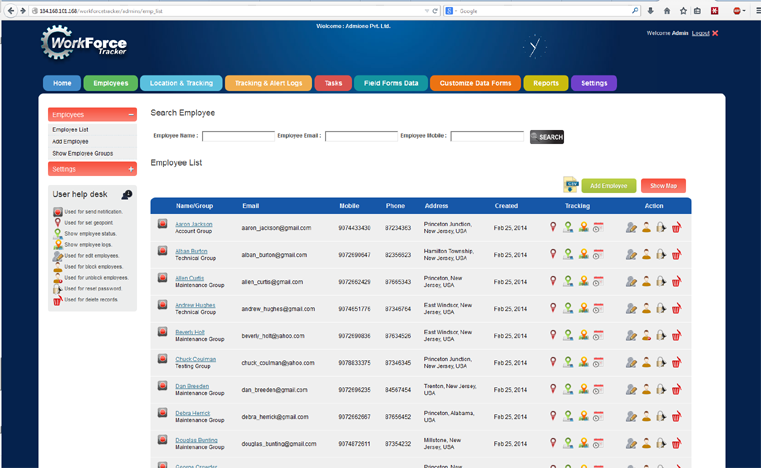 Our highly intuitive employee management module help you store, track and organize your most important employee and business information in one place. Everything you need to track and monitor employee behavior, activities and management processes is now available with our easy-to-use, affordable solutions. There are many variables to consider when scheduling staff, such as availability, vacation schedules, skill levels, breaks, legal requirements, targeted service goals and more. 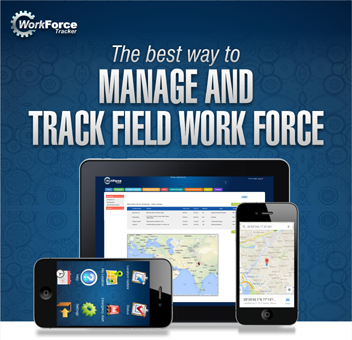 Workforce Management Solution takes all this information into account when creating optimized schedules. The result is supervisors are free to work on more strategic responsibilities, and schedules are optimized to meet service goals. If you have multiple offices, you can assign employees to their offices, divisions or groups. You can keep track of their skills,licenses and certifications before assigning them to particular jobs. Moreover, you can keep track of their pay rates and over time cost etc. before assigning them new jobs. Know who’s working, where and on what. At a glance, know who’s on the job, what task they’re working on, how long they’ve been working on it, and all without stopping what you’re doing or interrupting your employees. Simple. For organizations with hundreds or thousands of field service personnel, effective management seems impossibly complex. You need to assign workers to jobs based on the employee’s skill set, availability, proximity and more. You need to get them to work sites by the fastest, most cost-effective route – with the equipment they need to do the job right the first time. And you need to account for constantly changing weather, traffic and other conditions. Meanwhile, the clock keeps ticking, and your customers keep waiting. 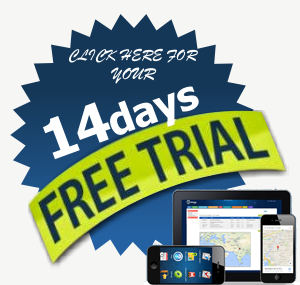 With Timesheet, employees can submit completed timesheets to the service centers for billing, with no delays. Set custom reminders for employees to submit time, and for managers to approve their timesheets. So everyone stays on track, and on the same page. Check. The right people, in the right places. Make sure there's always somebody available to help your customers, without burning through budgets by having more staff on hand than you really need or struggling when someone calls in sick. Avoid surprise service level shortfalls and react quickly to changes across one channel – or all channels. Our Workforce Management gives you an easy way to help you make the right decisions, our system optionally takes into account skill levels, scheduling constraints,other labor restrictions, demand and service level objectives. Workforce Management also gives your employees a robust, online environment to provide their input for their own scheduling needs. TheWork Force Tracker platform is built with a multi-skill architecture to meet the demands of the most sophisticated global service centre with multiple offices and service locations. Monitor Employee Skills, Locations, Pay rates and Categories. Optimizations tailored to your organization. Get the right worker to the right job at the right time, based specifically on the criteria you choose, prioritize and fine-tune. Result: Customer satisfaction rates rise to 98 percent. Multi-channel customer empowerment. From the very moment that you start using the software, you can remind your customers of their appointments by phone, text, e-mail or social media. And they can confirm, track, cancel or reschedule appointments throughout the process. Result: Unnecessary truck rolls drop by 20 percent. At the remote service sites, resources often did not have ready access to the information required to complete the service call on the initial visit. 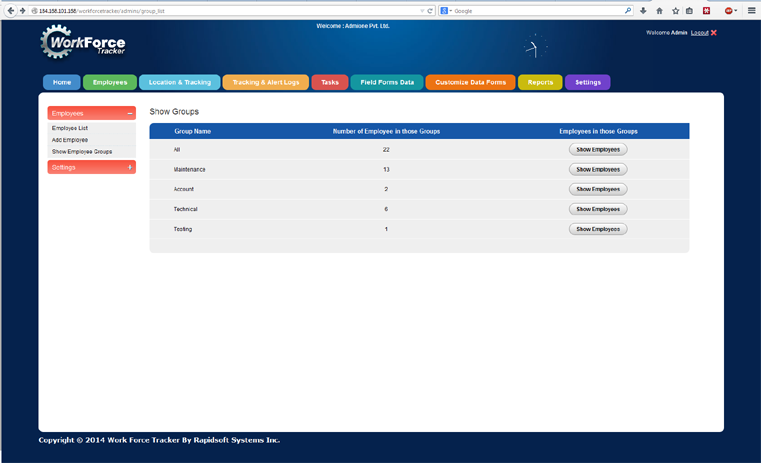 In addition, once a service call was completed, the need for completed forms and other documents delayed the closing of the service order, which in turn delayed billing and reduced customer satisfaction.Work Force Tracker’s web based Field Service Software enables field service organizations to automate their operations, thereby reducing office costs and increasing office staff, technician, and sales productivity.